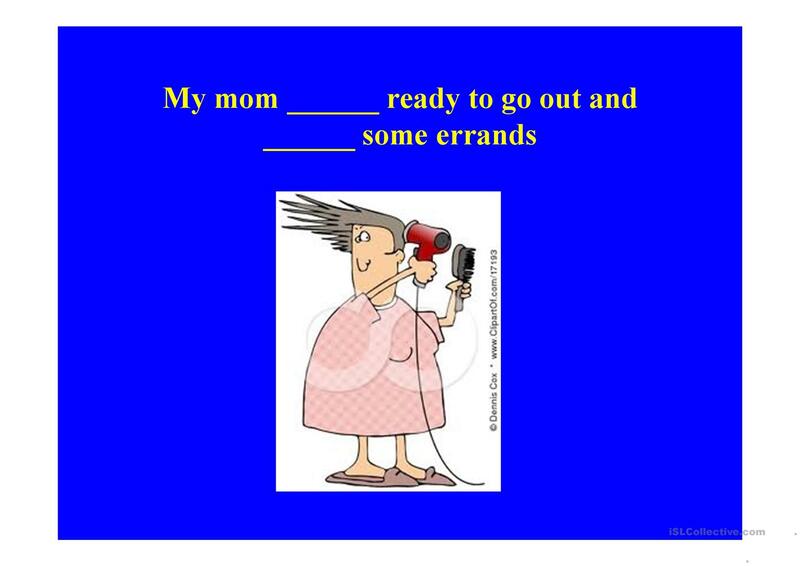 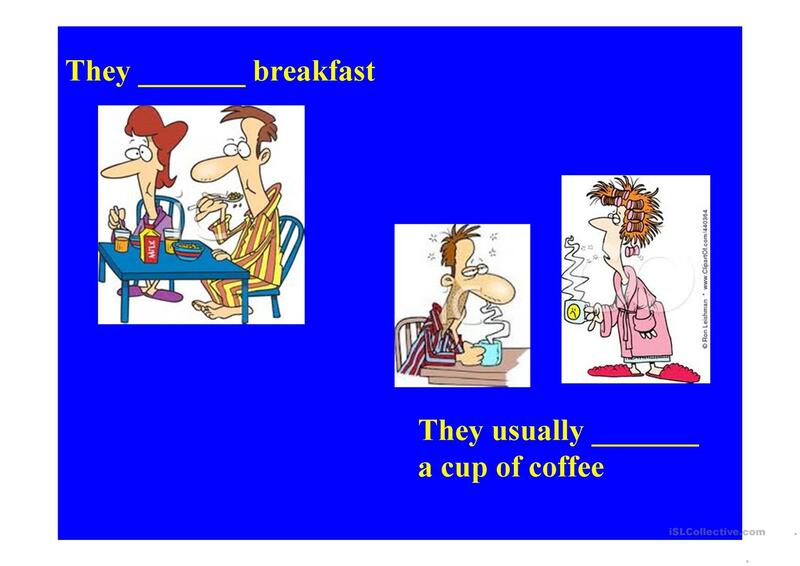 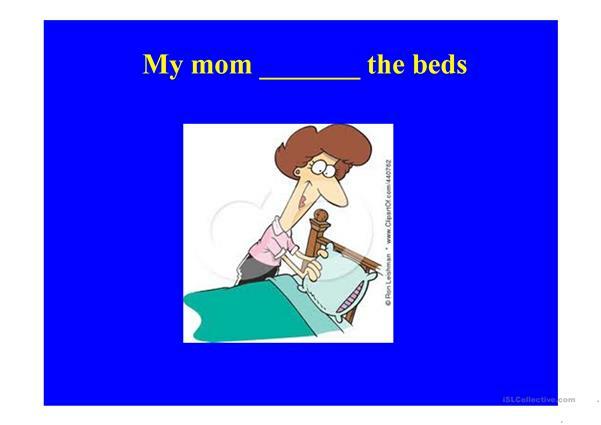 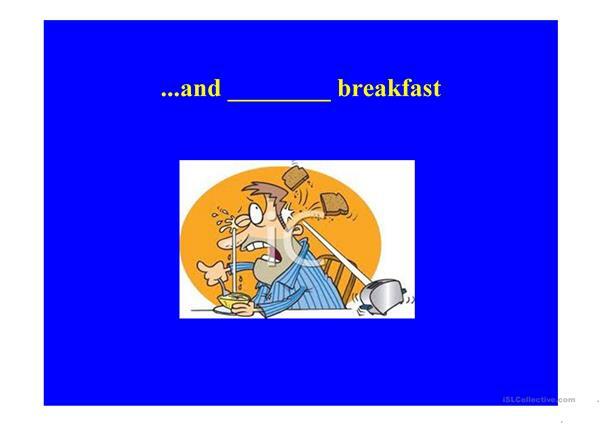 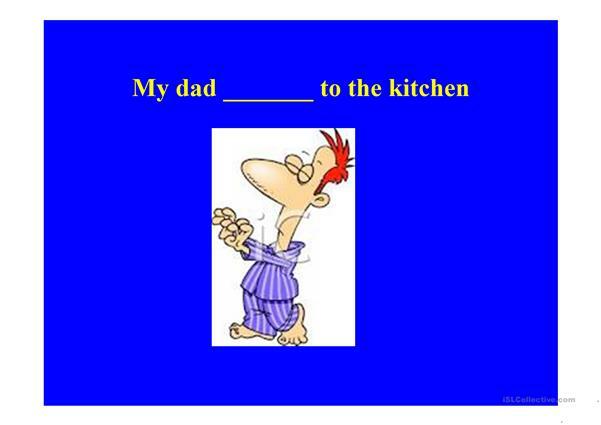 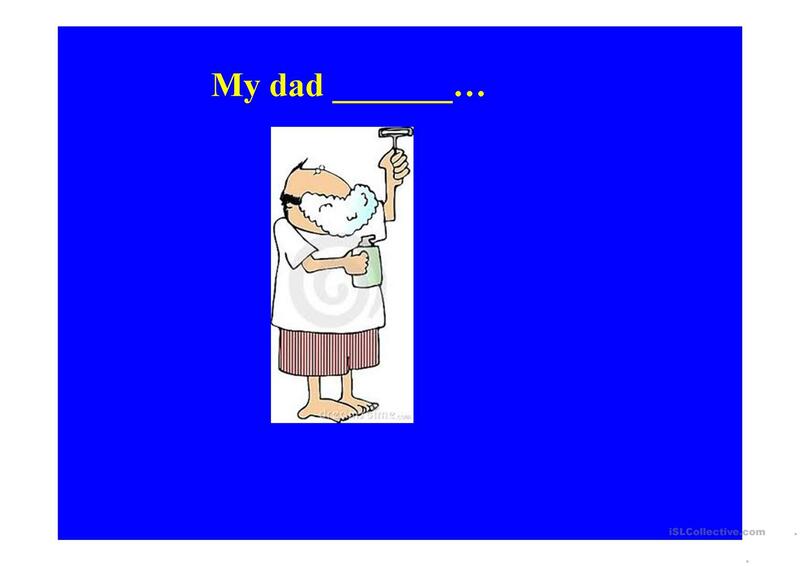 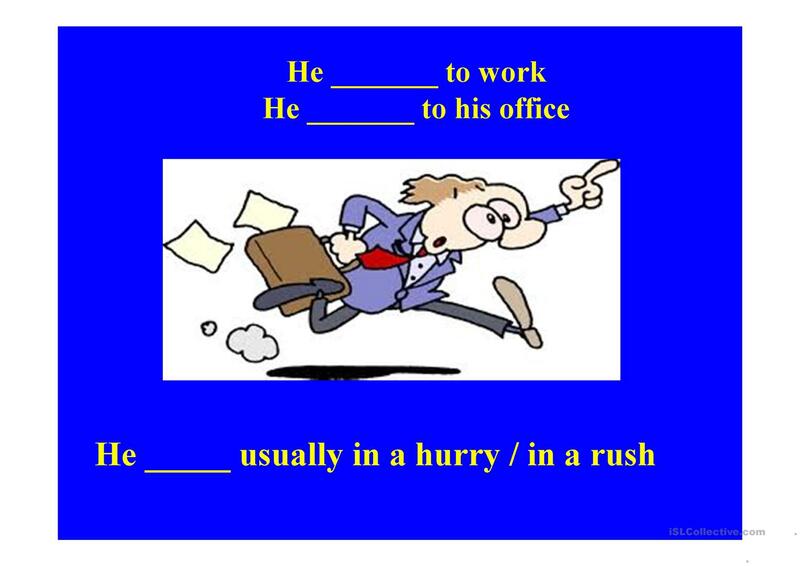 A ppt presentation containig a cloze test with verbs in the present simple missing (usually 3rd person) on daily activities. This downloadable teaching material is intended for high school students, elementary school students and adults at Pre-intermediate (A2), Intermediate (B1) and Upper-intermediate (B2) level. 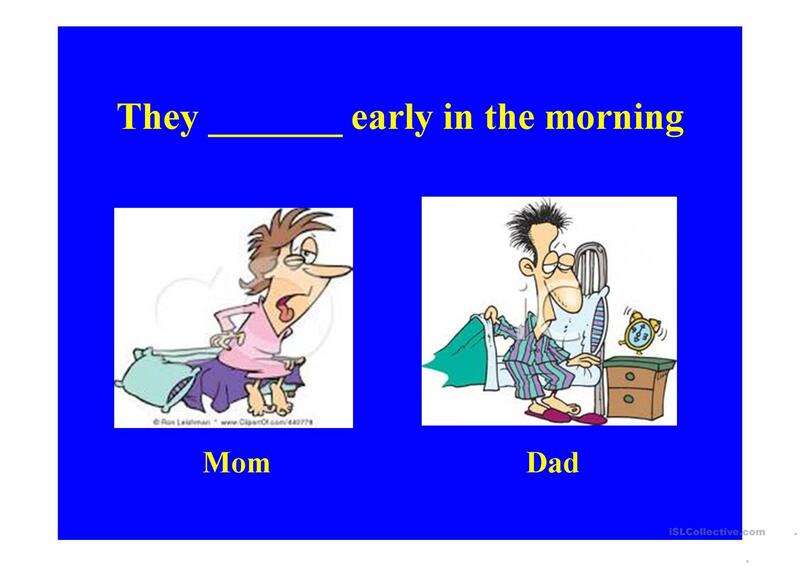 It is great for revising Present simple tense in English, and can be used for developing your groups' Speaking and Reading skills. It focuses on the theme of Daily routines. 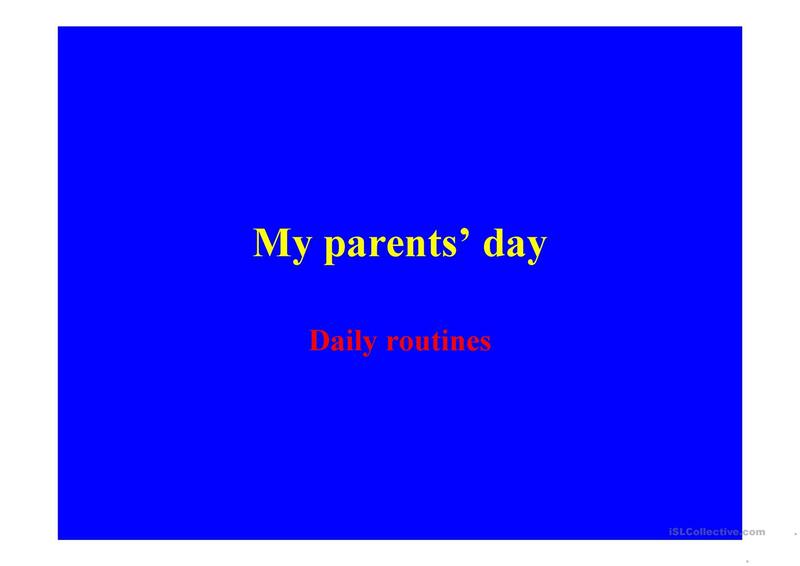 tacica is from/lives in Italy and has been a member of iSLCollective since 2012-10-12 00:36:18. tacica last logged in on 2018-05-26 15:26:04, and has shared 29 resources on iSLCollective so far.